Interested in cruising to the Caribbean? We are offering some fantastic rates including on board credit along with huge savings per cabin! Contact us today to book a group cruise of at least 4 cabins and receive a discounted rate along with numerous other perks! YOU could even sail for free. 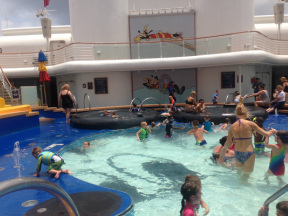 Book a Disney cruise with us and receive a free Disney gift card! KIDS SAIL FREE on select holiday sailings! Spend Christmas in the Caribbean!! Call us to book your family get together trip and receive 2 free gifts along with all the perks we offer for letting us do all the work! We do cruises, land vacations, all inclusives, anything you can think of! Call today for more information on this great deal!